Managing wealth is all about identifying and seizing the right opportunities for your unique financial needs. 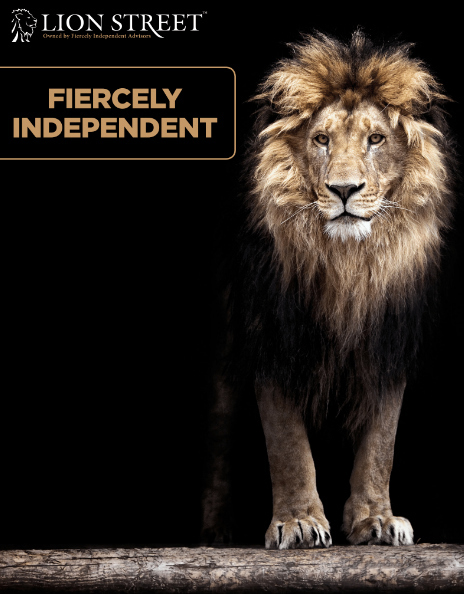 As an owner-firm of Lion Street, we have access to an exclusive and elite network of financial advisors and sophisticated financial solutions designed to help you reach your true financial potential. Lion Street, based in Austin, Texas, is comprised of an exclusive network of firms and advisors who specialize in financial solutions for high-net-worth individuals, family offices, business owners and corporate clients. Through our strategic partnership with Lion Street, we not only have influential relationships with leading insurance carriers and other financial institutions, we also have access to a powerful peer network for sharing best practices and proprietary technology and solutions, which ultimately enhances our ability to meet the complex financial planning requirements and needs of our clients.